This attachment style can be damaging to relationships. Anxiously attached people are more likely to be unfaithful to their partner, research finds. High levels of attachment anxiety are linked to a fear of abandonment. People who are anxiously attached are extremely ‘needy’. If an anxiously attached person does not get the reassurance they seek in their current relationship, they are likely to look elsewhere. Around one in five people has an anxious attachment style. A classic sign is having wildly varying feelings about the relationship from one day to the next. People experiencing attachment anxiety spend a lot of time thinking about what the other person wants. They can easily move from feeling strongly attached, to wanting independence. The conclusions come from a study of over 200 newlywed couples who were followed for almost five years. They were given tests of their personality, attachment style and relationship satisfaction. The results showed that if either partner was anxiously attached, then they had a higher chance of being unfaithful. In contrast to anxiously attached people, those who were avoidantly attached were less likely to be unfaithful. People who are avoidant want to avoid getting too attached to the other person. Around one in four people has an avoidant attachment style. Both avoidant and anxious attachment are both insecure types of attachment. 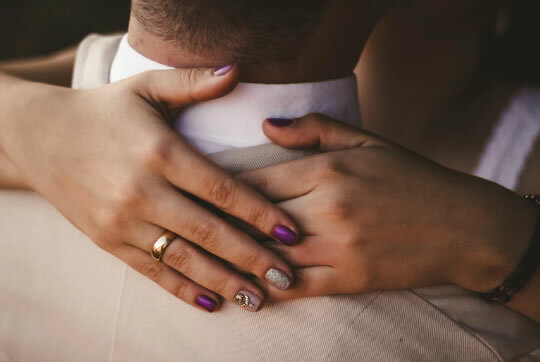 Just over 50% of people are securely attached to their partner. The securely attached are the least likely to be unfaithful as they do not worry about their partner straying or the strength of the relationship. The study was published in the Journal of Family Psychology (Russell et al., 2013).